Disclosure: I received complementary samples and prize pack from Gorton's in order to facilitate a review/post. No other compensation was received. All opinions were honest and my own but may vary from those of your own. Giveaway is in no way associated with Facebook, Twitter, Google, Pinterest or any other social media site. Did you know that Gorton's Seafood has 20 options that are under 200 calories per serving? I didn't! I knew that seafood was a healthy, lower calorie option but never knew that Gorton's had so many under 200 calories per serving. Gorton's recently challenged me to make a recipe that I've never made before, using one of their 20 under 200 options. I am in no way a culinary expert who can come up with recipes on the fly but I can follow just about any recipe. I chose to use their Grilled Tilapia in a dish. Disclosure: I received a complementary sample in order to facilitate a review. No other compensation was received. All opinions were mine and honest but may vary from yours. I love to shop but hate shopping for clothing for myself. Being a plus size woman, I feel like there isn't much out there that is flattering on me. I recently had the chance to review an item from Fresh Produce clothing. Fresh Produce is a women's clothing company, known for it's original prints, vibrant colors and comfortable clothing. They also have a children's line and are proudly made in the USA. Kobo Arc Giveaway Ends 4/15! Disclosure: I received no compensation for this publication. My opinions are my own and may differ from those of your own. Just the Two of Us and Deals is not responsible for sponsor prize shipment. Please contact teri@mompoweredmedia.com with questions or to see your business or blog featured on the next big event! This giveaway is not associated in any way with Facebook, Twitter, Google, Pinterest or any other social media site. 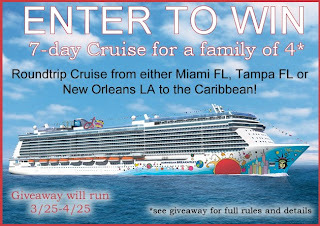 Win a Caribbean Cruise Giveaway Event! 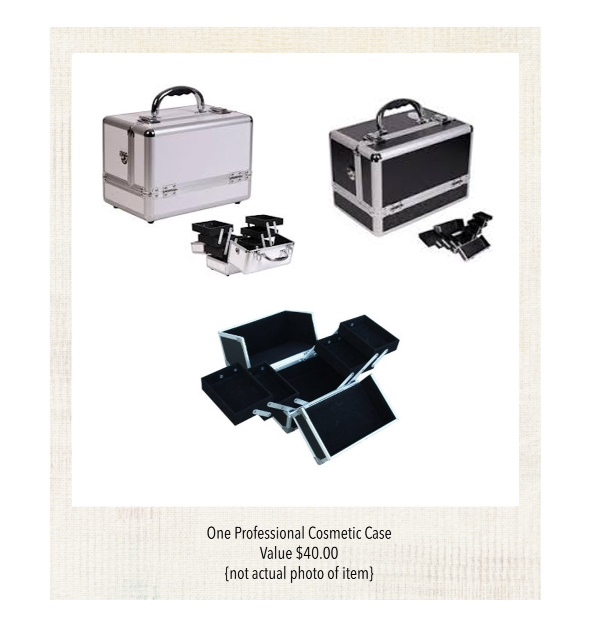 Ends 4/25! Famous Free Samples & Tip Hero's $150 Target Gift Card Giveaway Ends 4/4! Disclosure: I received no compensation for posting this giveaway. This giveaway is no way associated with Facebook, Twitter, Pinterest or Google. Love Target? Me too! Want some FREE Target cash? Enter to win a nice hefty Target gift card worth $150! Welcome to the "Spring Into Spring" giveaway event sponsored by Famous Free Samples, sister site of Tip Hero, featuring some fabulous blogs and a wonderful opportunity to be the winner of a great prize! To celebrate the coming of spring (finally), we're offering one lucky reader the chance to win a $150 Target gift card to use however they'd like! Whether you'd like to stock up on some spring apparel, decorate your home to match the season, or prepare your outdoor space for warmer temperatures, we're sure this great prize could come in handy! Samsung Chromebook 3G Giveaway Ends 4/10! Disclosure: I received no compensation for this publication. My opinions are my own and may differ from those of your own. Just the Two of Us and Deals is not responsible for sponsor prize shipment. Please contact teri@mompoweredmedia.com with questions or to see your business or blog featured on the next big event! This giveaway is not associated with Facebook, Twitter, Google or Pinterest. Disclosure: Just the Two of Us and Deals is not responsible for prize fulfillment and received no compensation for posting. This giveaway is in no way affiliated with Facebook, Twitter, Google or Pinterest. Running this blog has been such an amazing journey. I have learned so much and you all have been along for the ride. I worked really hard on this site relaunch and I hope you all enjoy the layout and content. In celebration of the new digs I teamed up with a few of my favorite bloggers to bring you this amazing giveaway. The other day, I wrote a blog post about changes in my giveaway entries. One of which was removing all Facebook fan page related entries. They were all removed from my giveaways. After much consideration, I have decided that I am going to add Liking me on Facebook back into the mix of giveaway entries but only for my own personal giveaways and never for group giveaways moving forward. I also want to remind anyone who has multiple Facebook pages for the purpose of cheating on giveaways. As far as MY blog is concerned, you are wasting your time. The Rafflecopter and Giveaway Tools widgets allow me to check IP addresses and other certain information so I would know pretty quickly if you're a cheater. If I believe you're a cheater, you will NEVER win any of my giveaways. The Hobbit: An Unexpected Journey Blog App and Blu-Ray DVD Giveaway Ends 4/5! Disclosure: I received no product or compensation for hosting this giveaway. All information and assets were provided to me by Warner Bros. The Hobbit: An Unexpected Journey is coming to Blu-ray & DVD March 19th 2013! GIVEAWAY - One lucky reader will win a The Hobbit: An Unexpected Journey Blu-Ray DVD Combo Pack! The Fairy Hobmother Strikes Again! Disclosure: I received a gift card in exchange for this post. No other compensation was received. I follow a ton of other bloggers in order to keep up to date on posts, events, giveaways, reviews and of course, to show my support. I remember seeing a few posts about The Fairy Hobmother visiting their blog and sending them a gift. At the end of each post, other bloggers could comment and leave their blog URL and hope that The Fairy Hobmother would pay them a visit as well. I remember leaving a comment or two on such posts and to my surprise, I received a visit from The Fairy Hobmother myself! The Fairy Hobmother enjoys spreading joy across the blogosphere by visiting blogs and providing a gift card in exchange for posting about him, Appliances Online and his mission. With that said, comment below with your blog URL and you just might receive a visit and gift from The Fairy Hobmother yourself! Do You Follow Me on GFC or via Google Reader? Read This! Hey everyone! I think every time I read another article online about social media, it seems to directly affect my blog and/or my readers. Anyhow, as you may have heard, Google Reader will be no longer as of July. If you follow via Google Friend Connect, you receive all of my posts via Google Reader as well as if you just follow me via Google Reader. As of July, you will no longer be able to read my posts via either method. If you enjoy my blog posts and giveaways, please consider following me via another method. Current options, with email being the best as you won't miss any posts or giveaways. One email is sent per day that any posts appear on my blog on that day. on these giveaway we will have even more!!! -Link/ or extra links $2.00 each (if the free spots are gone, to be part of this giveaway you will need to pay $2.00 for each link you want on the giveaway) Announcement is require or you have to pay a waver fee of $5.00. -Link/ or extra links $2.00 each (if the free spots are gone, to be part of this giveaway you will need to pay $2.00 for each link you want on the giveaway) Announcement is require or you have to pay a waver fee of $5.00. Please get your announcement here. -Co-Host $15.00 The co-host get 2 host page. 10 links on the RC. No announcement require. Children love toys but they can be pricey. Enter to win $150 worth for FREE! Hey everyone! I just wanted to update you all about some giveaway entry changes that are in effect immediately. I want you ALL to know that I appreciate you and without you all, my blog wouldn't be what it is today. I love bringing you product reviews and giveaways but due to some unfortunate issues, I must make changes on giveaway entries due to TOS's of certain social media companies.